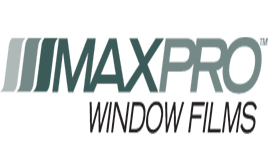 WE OFFER PROFESSIONAL INSTALLATION SERVICES ON WINDOW TINTING BY INSTALLING THE BEST QUALITY AUTOMOTIVE FILMS AT THE BEST PRICE. Our services are available for Automotive, commercial, marine and residential. 1. Avoid Overheating - You car's interior can be 60% cooler during hot summer days. 2. Protect Your Skin - Tinting your car can block 99% of damaging sun rays. 3. Accident Protection - In an auto accident, tinting can hold shattering glass together, protecting the occupants of the car. 4. Safer Driving - Tinting reduces dangerous glares from the sun, snow, and other headlights, helping you drive safely. 5. Enhanced Privacy - What a burglar can't see, he won't steal. 6. Prevent Cracking and Fading - Protects against harmful UV rays that can cause upholstery to crack and fade.